It’s a given how much we all love our bedrooms. Whether we’ve had a rough day or we simply look forward to uninterrupted slumber, we all wish to stay in the bedroom for hours. 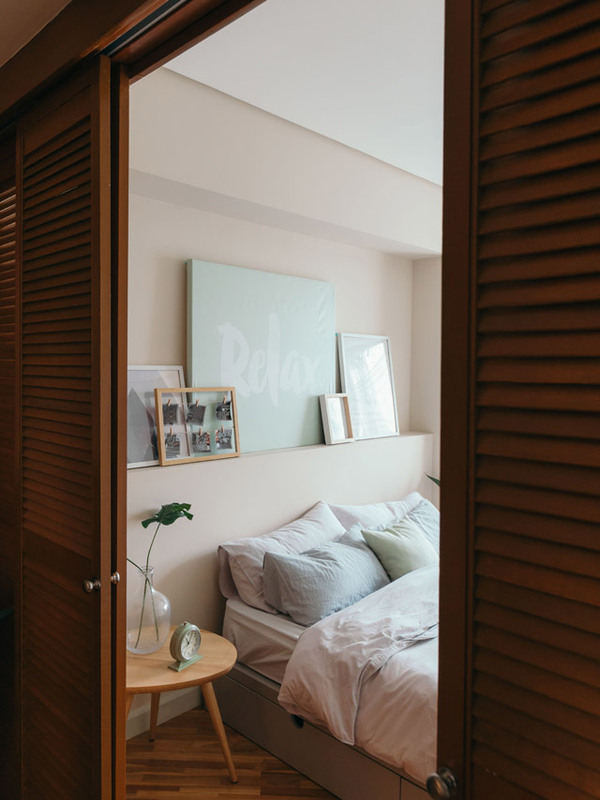 Aside from personalizing the space with framed pieces, collectibles, and other accessories, a few updates can turn your bedroom into a snug escape that can rival even the coziest hotel room. A tiny bedroom shouldn't stop you from getting the sleep you need. Spruce up the bed with quality sheets and invest in fluffy pillows and cushions. In this bedroom, interior designer Catherine Cena-Yambao chose matching linen for a cohesive look. Instead of leaving the side of the bed bare, additional cushions in a warm, relaxing color make it extra comfy and ideal for sleeping. 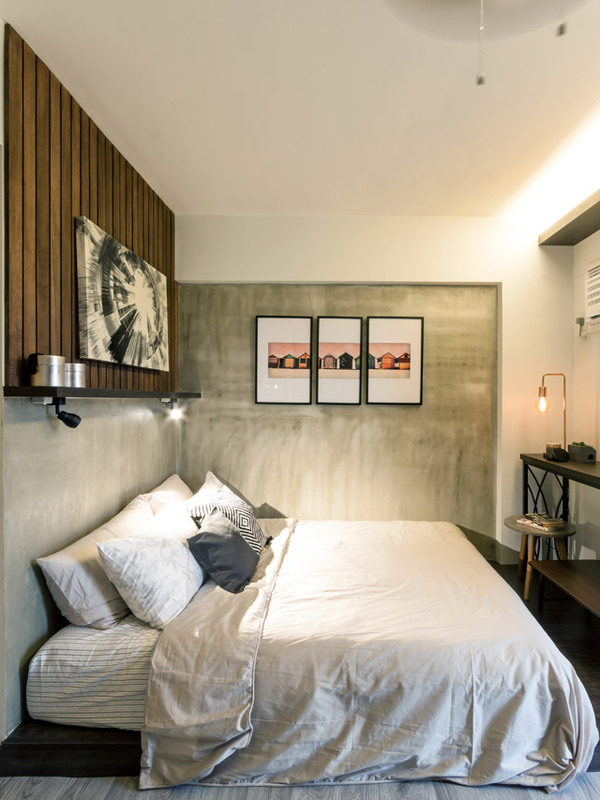 While concrete may seem cold and stiff, it can still make your bedroom stand out. 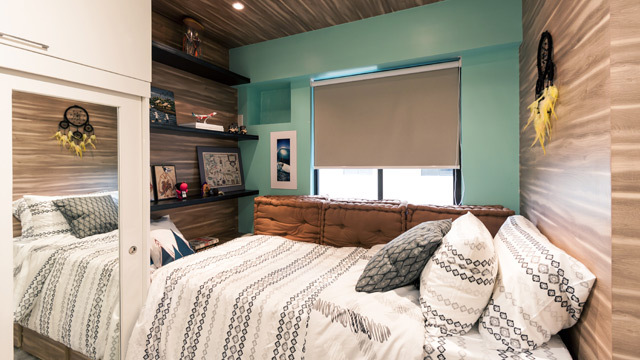 In this condo unit, interior designer Catherine Cena-Yambao took inspiration from Japanese interiors as requested by the owner. To complement the faux raw concrete material used on the wall, wooden panels were added to create an illusion of a taller space as well as to add warmth. A bevy of pillows complete the bed, inviting anyone to plop down and forget the world outside. 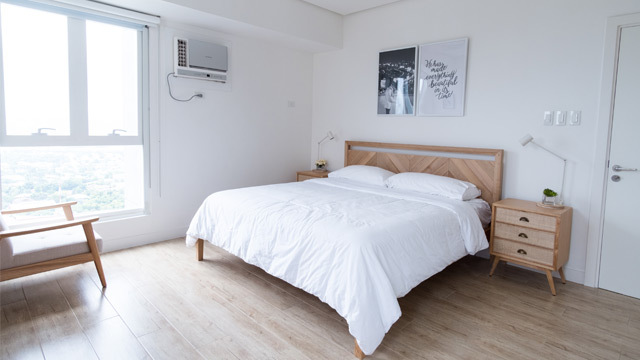 A peek into this bedroom in Makati is enough to make you want to leave your worries behind and look forward to a rejuvenating sleep. Light colors and natural light make it extra inviting. Achieve the relaxing vibe by adding indoor plants as part of your decor. You can place one on your side table or you can liven up a dull corner with a potted plant. Colors like seafoam green, light blue, and neutrals can turn any room into an envy-worthy sleeping space. This master bedroom features a hotel-like vibe—with the matching table lamps, side tables, and a tufted headboard as accent. If you've always loved the charm of country-inspired homes, this bedroom can be your peg. Take small steps into an improved space by looking into having a wallpaper or decorating the walls with delightful prints. Dressing up the bed with bed linen with floral patterns is also an easy update you can work on. Nothing screams rest better than a blue-and-white combo. Decorate your bedroom with blue and white must-haves to create a calming retreat you'll love to stay in. For a cohesive aesthetic, you may want to spruce up the wall with a blue patterned wallpaper, then maintain an all-white bed. Opting for white furniture pieces adds a country feel, too. Pastel colors can make a small space look homey, bigger, and more welcoming. 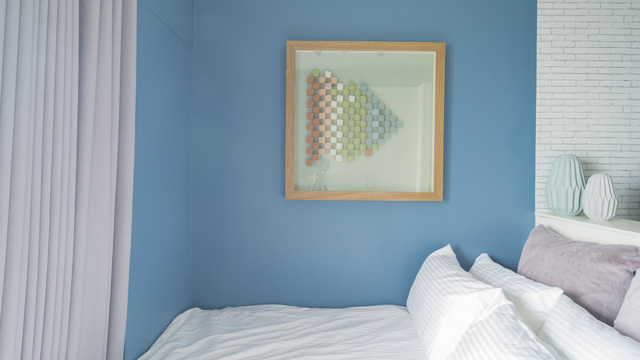 Take your cue from this sleeping space by painting the walls in a light shade of blue. It's easy on the eyes and will make you want to ignore the alarm clock. If your room has a window or an access to a balcony, maximize it by using sheer white curtains for a maaliwalas vibe as well as blackout curtains for days when you want to relish a good night's sleep. Wood, white, and neutrals can instantly turn a dull space into a resort-like escape. To create a tropical-inspired bedroom with Scandinavian elements, opt for mostly wooden pieces and accessories. Pair it with white walls and linen to achieve a calming vibe. Small potted plants and scented candles make for great additions that you can display on the side table.